If you see this car, might be reminded you to the jets and spaceship euphoria in the 1950s to 1960s car's design. 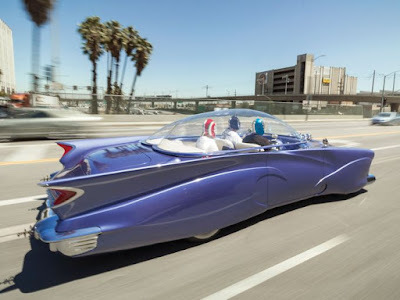 The car may also represent the views of the people in that era about what the cars of the future might be look: running by means of drift, bubbletop, but still in the retro looks! Well, this unique car nicknamed 'Beatnik bubbletop' is scheduled to be auctioned by Auctions America in their auction in California, on July 17-18, 2015 . This unique car is expected to sell under the hammer in the range of $150,000 to $250,000, or approximately Rp.1.99 billion to Rp.3.32 billion! 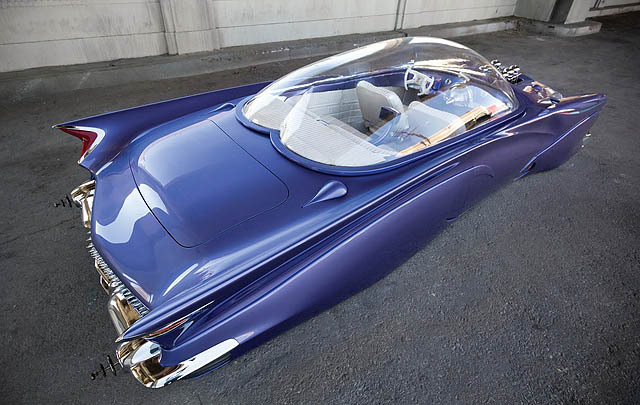 Beatnik bubbletop built based on 1955 Ford, with many mixed and customization of a variety of different cars. With the 1988 Lincoln Town Car chassis that has been modified, Beatnik has the rear bumper that taken from the 1958 Cadillac front bumper. 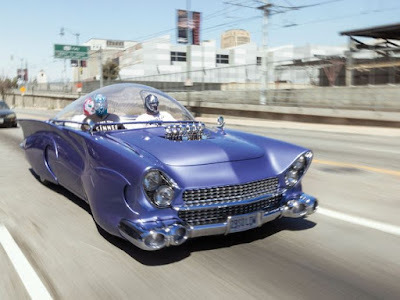 The unique and iconic car is a creations of the talented modifier Gary 'Chopit' Fioto, who is conforming with his nicknamed has a hobby 'cut up' the car. 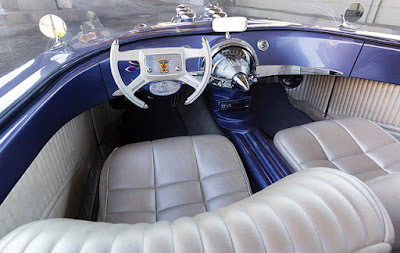 According Fioto, the most important element to a custom car is, "a custom car must be have an attitude. 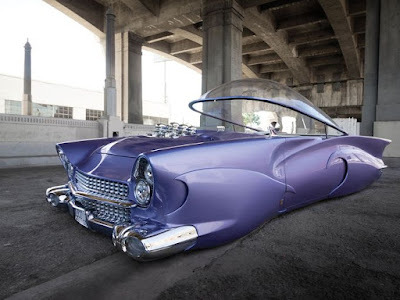 "Attitude, different or unique, is that I look for when I modify a car. Anything that makes the car look cool I will do, and the car must also be seen as always moving, even when at rest or parked," said Fioto.